Google's favourite thing? Quality & Relevance. We get asked this question a lot. How does Google rank web pages in its SERPs? We aren't SEO experts but the information we do know about how Google's algorithm works, is very interesting. 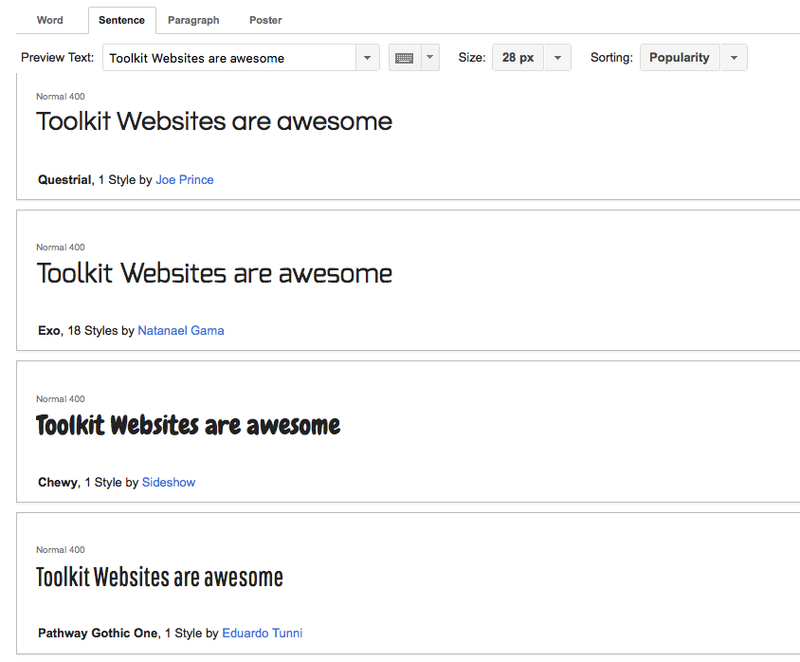 Over the years, Google have given very little away about how they rank web pages. After all, everyone wants to be top of Google, and not everyone can be! The one thing we know that Google loves is Relevance and Quality. Relevance: Google looks at how well the page answers a persons search or the keywords they've typed in. Google then works out how relevant the website is, to the query submitted. Google will scour your website for keywords, your overall content and accessibility of your website. If the searcher is on a mobile, and your website is not mobile-friendly for example, it's going to deem your website as "irrelevant" to the searchers needs. Because of the amount of websites that exist, Google's job is to categorise and order the search results in a particular way, before offering them as the 'best' results. After all, Google has a job just like everyone else. To provide accurate and relevant results. Quality: A few years ago, Google revealed their latest Search Quality Rating Guidelines, a 160-page document about what Google thinks it's users want. 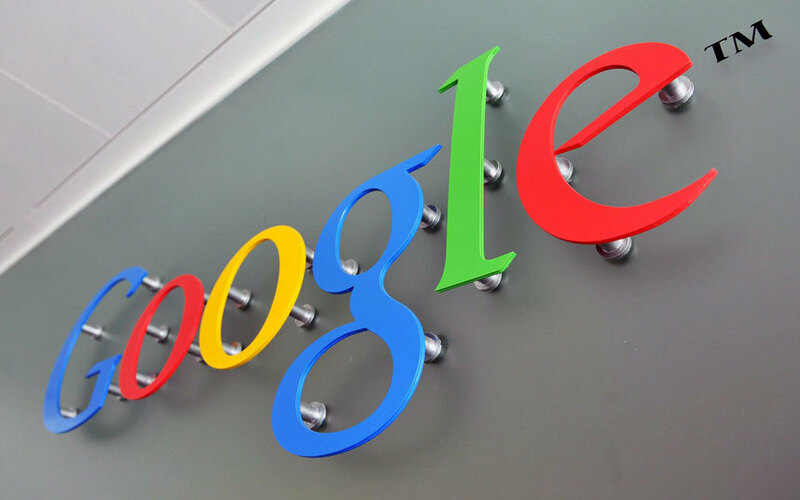 Google have a team dedicated to finding out how to improve and tweak the algorithm so that it offers the best and most reliable service to the user. This algorithm is being changed all the time. It also evolves, which we have seen recently with the rolling out of a 'mobile-friendly' requirement. For a website to be good quality, you need to have well written and constructed content. You need to make sure any back links are useful and 'relevant.' You will need to have active and engaged social media accounts, well thought out keywords and page descriptions, you'll need a website that is built using basic web standards and guidelines and most of all, you will need to update your website content regularly. It really isn't as complex as it sounds. Want to have a chat about how to improve your website's SEO? Get in contact with us today! 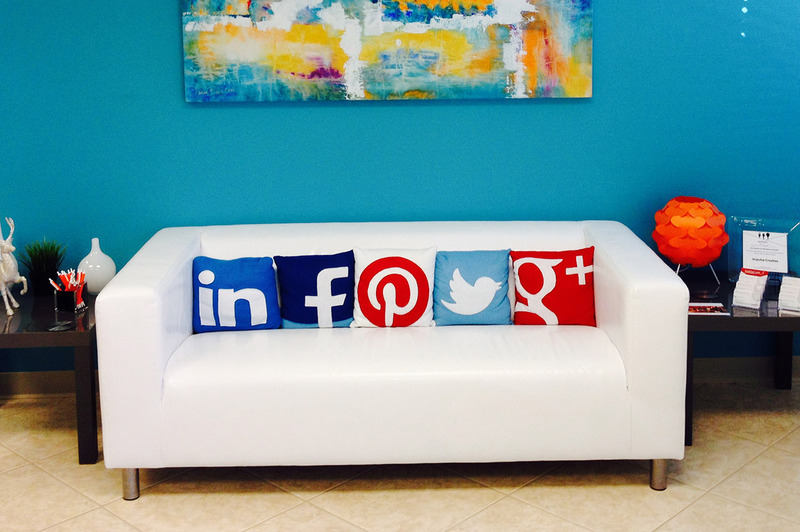 Hints and tips for your company’s Social Media. Social media is a huge part of day to day life for millions people, so applying Social Media etiquette to your business profiles is going to be the most triumphant way for your business to succeed online. 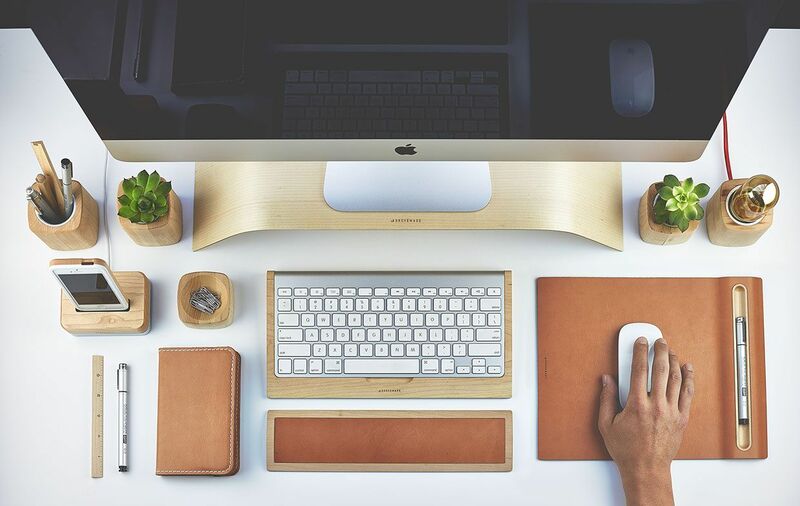 There is an extremely long list of hints and tips on how to master the best behaviour on social media, but we’ve covered some of the most important do's and don’ts so that you can get your social media etiquette journey started. First of all, you’re going to need a Social Media profile to succeed online. In fact, create as many as you can! Social media platforms like Facebook, Twitter, Linked-In, Instagram, Google+ and YouTube are all completely free to use. From the web design point of view this is a brilliant, cost-free method of increasing your website’s SEO. Search Engines love social media integration within your site – especially if you use Google’s own services like Google+ and Blogger. Search Engines will reward you for integrating social media onto your site, thus increasing the success of your SEO. Keeping on the SEO side of things, Search Engines rank based not only on your number of likes/followers, but on your level of amplification and engagement. Engagement shows Google that you are invested in your business, whether it be for customer service or offering support on your products. Engagement also shows your followers this exact same thing – you, as a company, are devoted to customer care online. 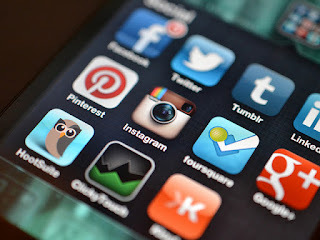 Don’t neglect your social media profiles, use them to your advantage! “You are what your tweet”. Social media profiles may be your first point of contact with the public community and potential customers, so make sure that your posts/shares/retweets are interesting, relevant to your field, not offensive and certainly not rude! Always ensure that you’re not using poor grammar and spelling. Nothing says unprofessional like misspelled words and punctuation errors. Don’t overload on hashtags. With Twitter, Instagram, Pinterest, Google+, YouTube and Tumblr all using hashtags now, it has become really easy to categorise your posts with others containing similar content, or related to a similar field. People can click on a hashtag for example "#webdesign" and will be able to view a feed of tweets using that exact hash tag or keyword. Beware though, it can be off-putting seeing #hashtags #in #every #word #of #your #post. Using tools that automatically create posts across all of your social media profiles are great! They save time and energy every day. Although you must be aware that for the best social media etiquette, you should alter your posts/content depending on which social media platform you are posting on. For example, posting around 10 tweets a day is normal for twitter, but submitting 10 posts a day to Facebook is a no-go. As well as adapting the number of posts per platform, you should also alter the content of your posts for each platform. Think about the use of images, how long your posts are and the text they contain. Monitor the progress of your social media profiles using social media analytics. These are tools which practice the gathering of data from blogs and social media sites. Their features include tracking your progress, for example, trends in the audience growth, engagement over time and the geographical location of the audience. The benefit is learning what you’re doing right with social media and where you’re going wrong. You can then adapt your social media and blog habits to increase the number of likes, visitors, retweets and followers. Finally, should you follow your competitors on Twitter? The answer is yes. It is so important to monitor your competitor’s social media because you’ll be able to learn the competitor’s marketing strategies. By understanding the competition, you can set yourself apart by making your brand unique to you, but making sure that anything your competitors are doing that gets a positive reaction, you work into your Social Media campaigns too! Mimicking an idea a successful competitor has done will do absolutely no harm – just don’t copy their posts like for like and put your own spin on it. Do you need some help with Social Media setup and branding? Get in touch with us today. When Project Manager Natasha gets into the office, she is always armed for snacks to get her through the day. Whether it's crepes, sour sweets or moreish packets of crisps, she is the person to go to if you're feeling peckish! Natasha deserves all the snacks in the office, because without her our live clients wouldn't be getting the spectacular redesigns that she is in charge of managing. Before she starts her day, mirroring the Senior Project Managers, Natasha takes a look at the day ahead and makes sure that she has everything she needs for the appointments lined up that day. A lot of her role involves putting web pages together that have been built by our Design Team, and that need tweaking, updating or assembling with code and bug fixes. Natasha's role revolves around clients who have an existing website, but want to make changes to it or redesign it completely. Her skillset is in taking an existing site and improving, bettering and modifying it to the clients requirements. Whether they are looking to rebrand, to simply modernise or to make their website responsive, Natasha is their port of call. Natasha's strengths lie in managing numerous tasks at one time and always keeping her projects up to date. She is on hand to speak to her clients through any questions or queries they may have, and to assist them in reaching the end result that they have in mind. Unlike the Senior Project Manager's who tend to work on a project with a blank canvas, Natasha must work with what she is given and be creative with coming up with new ideas and solutions. At lunchtime, Natasha likes to escape from the buzz of the office, and pop her headphones in and catch up with her latest Netflix series. Having that time to immerse yourself in a different activity is a brilliant way to break up the day and means that you come back from your lunch break ready to get straight back into it. Natasha has a strong interest in video media, and is often found browsing Youtube and watching Vlogs. Her lunch almost always consists of a bowl of rice with chicken, which makes everyone else's stomachs rumble with hunger! Her afternoon is set out in installments, where she will dedicate an amount of time to each task she has outstanding in order to complete it. She is often liaising with the design, content and development team to iron out any bugs, any design tweaks and page layouts. When she isn't on the phone, she is immersed in the pages of a project, updating and tweaking it. At the end of the day, Natasha spends time prioritising work for the website design and content team ready for the next day. Once everything is in order, she'll bid her colleagues good night and scurry home ready for an evening of relaxation. Who doesn't love to put their feet up at the end of the working day? At what point do you fall into (or get labelled) as a certain stereotype? If I were to ask you what stereotype you fit into what would it be? Tech guru? Fashionista? Football Fanatic? Gamer? If you do fit into a stereotype, what makes you that stereotype and at what point did you become the stereotype? We went around the office to see what stereotype people here assign themselves to and it seems like we have a wide range. Jose watches about 2 hours of sport a day and some days up to 4 hours. When he can’t watch sport he checks Sky sports and BBC sport whenever he can. Can you be a Sports fanatic if you only watch a certain sport? Well Jose watches any sport he can get his hands on! Sports fans are often associated with 'hooligans' or overly extrovert personalities. Is this always true? Jamie says "A technologist will always find or create or promote a technology for a task. You need a working knowledge of the field and to know what advancements are happening.” As a developer, Jamie's profession has people label him as a certain stereotype straight away. Does that mean that he belongs to that stereotype though? Andy wasn’t sure if he fit into any stereotype, which is probably a common thought. “I like Football, but don’t go to matches and I like gaming” but he doesn’t feel he breaks that line to become either one of those stereotypes. With such an endless amount of "labels" out there, you can be defined from your taste in clothing, your hobbies and past times as well as the amount of travelling you do. Can you cross into other stereotypes? How much reading makes you a bookworm? Or is it not about the amount of reading but about your knowledge or the written word? Lanara gets through a book in about 2 days and says that people have often referred to her as being like 'Hermione Granger' from Harry Potter. Does this classify her as a 'bookworm?' Or does it just tell us she's a fast reader? “Its embarrassing but I used to be an ‘emo’ at school. I used to wear all black, big eye liner and bunked off of school, so gross!” Are stereotypes actually classed by generation and age? Do we all go through phases of being a particular stereotype? Is it possible to change "stereotype?" Or is it a personality trait? “Geek” and “Nerd” are often closely linked but Adam recognises himself as a Geek. The reason?… “I like geeky things, like tech, comics, superhero films, stuff like that” Already, Adam has mentioned comics and superhero films being labelled as 'geeky.' What is it about interests like this that means they get labelled in that way? Is it because they aren't 'mainstream' or the norm? Or is it because of the people who have created them? Rock music, BMX, chain wallets are all loves for Paul. He was into BMX until he was 25. Another point that Paul was keen to point out was that Skater Boys often go to gigs whenever they can, “You listen to certain music for energy whilst riding/skating so the general interest takes you to those gig as a group”. Now we've moved onto the idea of music taste classifying your stereotype or category that you fall into. So the categorisation of these stereotypes are often unclear. When it comes to professional stereotypes, we know that as Web Designers, a clear idea of the type of people we are springs to peoples minds. They think we're "geeky" or "introvert." Often, web design is associated with people that stay up late to burn the midnight oil, or that are intelligent with above par IQs. We like to challenge that stereotype everyday with our team who have a range of personalities, with a variety of experiences from different industries and walks of life. There are lots more stereotypes that our industry have been labelled with. A lot of people assume that all web developers and designers are men for example. This is another myth, as we have some serious girl power in our project management team, design team, social media marketing team and the support team too! But rather than take offence or be upset by the labels we are given, we’re very happy to demolish them. Do we believe that a person can be 'stereotyped?' We believe others stereotype you. But we're not so sure that it actually has any relevance to you as a person, or us as an industry. Let us know your thoughts on twitter @toolkitwebsites or on Facebook, just search for Toolkit Websites. This week's website of the week goes to KPL Knowledge Solutions. KPL's Integrated Business Solutions & IT training ensures you have people with the skills you need to accelerate your business. Senior Project Manager Lanara, began firstly by creating a full width panel mock up design, with an accreditation logo slider in the footer of the page. The colour scheme is taken from the clients existing logo, which is a corporate navy blue. 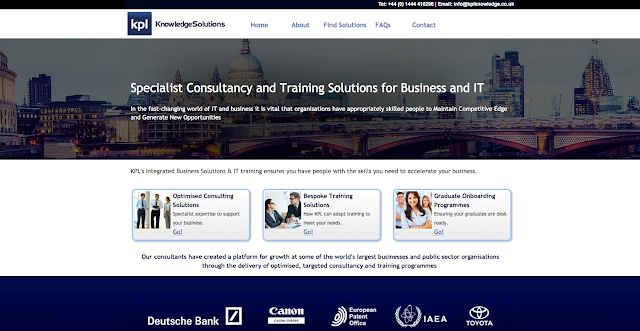 The website works as an information hub for people looking for training courses. Each page is laid out in a certain way to make sure it is easy and useful for people navigating the site. The main pages each have the same type of layout, with different header images. The courses pages are more uniformed in tables and easy to follow lists. The website features forms that enable people to get in touch and register their interest in a particular course or courses. These forms divert through to landing pages, with a confirmation message. The main feature of this website is that it is a large website. It might not look it but each course has an individual page that has been created in the same format, styling and layout as the others. This means that all of the content for all of the courses are on the website rather than diverting to PDF downloads or a blog site. Senior Project Manager Lanara updated the website to be responsive, meaning that it resizes to the screen that you are viewing it on. This means that it passes Google's mobile-friendly test with flying colours! Some of the pages feature bespoke made graphics, to give a visual element to the page and to make use of the clients branding. It's the little details that matter on this website, even the bullet points are styled and created using the KPL logo. The client had to strategically plan when the website was to be published, which meant that the project was inbuild for a number of months. This has meant that each page has been cultivated specifically for the purpose, and every image, graphic and piece of text has been carefully thought through. The client said: "Great service, very pleased with Lanara Mitchell's Management of our project. Lanara has been a pleasure to work with over the past 18 months. Very responsive and always ready to help us." Do you have a large website project that you would like to get started? Contact us today! Is standard TV viewing in decline? We previously talked about the rise of Youtube and whether it could overtake TV in terms of viewers. Youtube has over 300 hours of video uploaded every minute so it certainly has enough content for it to over take TV. However, nowadays there are even more services where you can watch video content... for free! Television caught on in the United Kingdom in 1947, but its expansion was slow. By 1951, with only 2 transmitters, near London and Birmingham, only 9 percent of British homes owned a TV. The United Kingdom was the first country to have a regular daily television schedule direct to homes and it was the first to have technical professions to work on TVs. A TV license is on average £145.50 a year. This is mainly aimed at keeping the BBC advertisement free and independent of shareholder and political interest. In addition to funding BBC programmes and services, a proportion of the licence fee contributes to the costs of rolling out broadband to the UK population and funding Welsh Language TV channel S4C and local TV channels. Streaming services such Netflix, Amazon Prime and more have their own monthly costs that you pay in order to access their services too. When it comes to deciding which one you should use if you don't want multiple accounts, there are a number of things you may want to take into account. It may also depend on your age group, whether you lean towards online streaming services opposed to traditional TV. If you love watching TV and are a regular viewer at both weekdays and weekends, you could watch up to 2000 hours a year of TV. That’s approximately 7p per hour of content you can watch in a year. Compare that to Netflix, which has over 3 years worth of content on it with new content being added every year, 600 hours of original content to be added in 2016. Netflix basic subscription costs a UK customer £5.99 a month, that’s £71.88 a year, less then half the cost of standard TV. However, if you are a regular viewer of the Soaps, of the local/regional news, and you are fond of certain shows that only the BBC, Channel 4, ITV and Channel 5 show... you will likely to keep standard TV or look at your free view options. There is a huge community of people that have grown up with series and programmes that are shown on TV, often at the same time every night. Programmes such as Eastenders and Coronation Street rake in 2.2 million viewers on average. There are many "TV moments" that people talk about even to this day. 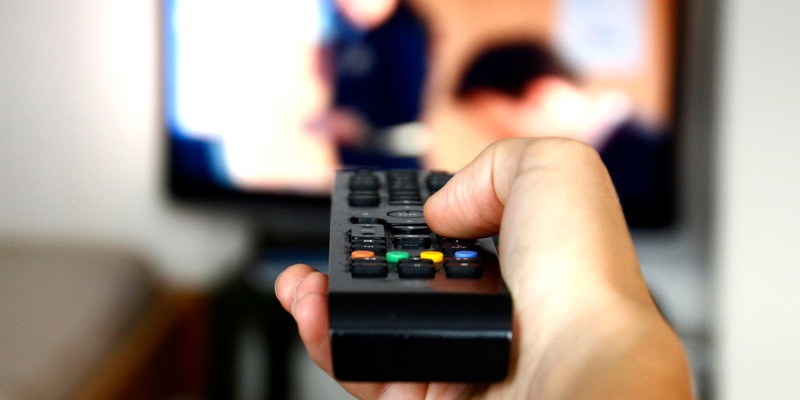 Whether it's an XFactor season that was particularly memorable, or a series of Big Brother that caused a scandal, people like to watch TV and discuss what they're viewing. It's seen the likes of Netflix's documentary drama 'Making a Murderer' go viral, and content such as 'Black Fish' a Seaworld documentary get so much exposure that Seaworld saw it's profits plummet. With the rise of online streaming services, especially among the younger generation, it is thought that standard TV viewing is in decline and the likes of Netflix, Youtube and others will overtake. But is standard TV viewing in decline? Is this a good way to cut the cost of your TV bill? If you have a tablet, phone or laptop you can get the Netflix app on your device and connect it to the TV through Apple TV, Chrome Cast or use it through a console such as an Xbox One. But that would mean if you didn't have these already, you'd need to invest in one. Orange, T-Mobile and Vodafone provide mobile television services for reception on third generation mobile phones also. They consist of a mixture of regular channels (marketed as 'live TV') as well as made for mobile channels with looped content. There are a number of steaming services available, and all of them have exclusive content to offer and tempt you. It's known that a lot of Sky users tend to favour the Sky Atlantic and Sports channels for example, due to the exclusive content such as Game of Thrones. Take a look at the best online TV streaming services on Tech Radar. The BBC, ITV and Channel 4 all compete for viewers, just like Netflix and Amazon Video compete. Competition in the entertainment industry is great as it tends to lead to new and better quality content. Because of online streaming, it's meant that there has had to be an improvement in internet speed to keep up with demand. With 4K and even 8K content on it's way, things are set to only get better! This applies to both online content as well as TV. Although, online services will tend to be ahead of the game in this respect. Let us know your thoughts by commenting on Facebook or tweet us @toolkitwebsites. When Senior Project Manager Andy gets into the office, he is almost always clutching a Starbucks Latte in his hand, ready to charge ahead with the day. Coffee is one of the fuels our project managers run on, the others include excellent organisation, creative energy and a real need for perfection! Senior Project Manager Lanara starts her day with a swift bowl of Weetabix, before sitting down to take a look at the day ahead. Both check their diary for the appointments they will have that day, and both make sure they are prepared and have everything they need for each one. A Project Manager has appointment slots starting at 10am in the morning, until 5pm at night. Appointment slots range from 15, 30, 45 to 60 minutes long depending on the clients needs and requirements. Depending on what stage of the build the project is at, will depend on how much discussion is needed in each call. In-between each appointment, the project managers tackle emails, are constantly tweaking and fixing things, delegating work to the design and content team, as well as liaising with the developers, support team and the technical team. Each day is full and bursting at the seams, and they wouldn't have it any other way! Every success is celebrated. Every challenge is accepted. And most importantly, every project is approached with a different view point depending on the industry, the clients needs and of course the publication deadline. The project managers have completely different takes on their role. Andy has a very technical mind. With a degree in Web Design he can delve into the code and suss out an issue or a problem in minutes. Lanara's strengths lie in her organisational skills, social media knowledge and ability to type very, very fast. (Trust us, we tested the speed!) Both of them have different degrees and both approach a project in different ways but yield the same results. Professional, eye-catching and well developed web designs that stand pride of place in our portfolio. Because the project managers are client facing, they are well adapted at sorting queries or discussing design and content over the phone or via email. Adapting their time and their approach to each project to align with the client is something they have fine tuned over time. Every project is different, just like the clients themselves. Some clients need more guidance than others, depending on their technical ability, but to the project managers it doesn't matter. They are happy to help whenever required. From briefing up new designs, to making design changes themselves, the project managers are very involved in the building of each website design project. At the end of the day, they are responsible for the smooth running and coming together of each website design. They are proud to associate themselves with each finished project. Every team member plays their part, and there is nothing the project managers love more, than a project that comes together perfectly. That's not to say there aren't ever bumps in the road. Design is subjective, and they will work on numerous design ideas or tweaks until they get it 100% right. They are honest and refreshing in their approach and are happy to keep the clients up to date with any developments or changes within the project time line. At the end of the day, you'll often find Andy burning the midnight oil to get final tweaks and changes complete before going home for the night. It's the perfectionist in him that won't settle for a job half done. Lanara likes to have everything in order before she goes home, and you will often find her straightening things on her desk so that everything is 'just-so' before she heads home... ready to do it all over again the next day! "Valentine’s Day is almost upon us this year! Here at Toolkit Websites, we love creativity and design so we’ve put together some sweet crafty DIY ideas you can treat your loved ones to this Valentine’s Day. First of all, decorations. Creating a Valentine’s themed bunting is sweet, easy and looks the absolute part on February 14th. The only tools you really need to source are red (plain or patterned) paper, a pair of scissors and some string! You can then cut out your hearts, attach them to the string and display your creation anywhere you like. Adding some balloons, candles, banners and flowers to your display will really surprise that special someone on Sunday morning! For those who enjoy being in the kitchen, there is a huge range of sweet and savoury food to be enjoyed this Valentine’s Day. For a sugary treat, chocolate brownies are a huge yes. Whether you buy a brownie mix or weigh out your ingredients from scratch, heart shaped chocolate brownies are sure to show your loved one just how much they mean to you. For a more themed effect, you could sprinkle on some small red heart shaped chocolate drops or serve your brownies with a couple of strawberries. If your valentine doesn’t have such a sweet tooth, why not wake them up on Sunday morning with a breakfast, created only in the shape of hearts! Creating a ‘reasons I love you’ jar is a sure way to put a smile on your valentine’s face. Simply wash out an old glass jar and fill with tiny multi-coloured pieces of paper or card each containing one simple reason for the admiration of your loved one. You can then decorate the jar with ribbons, felt hearts and other decorative items so it can be put on display. 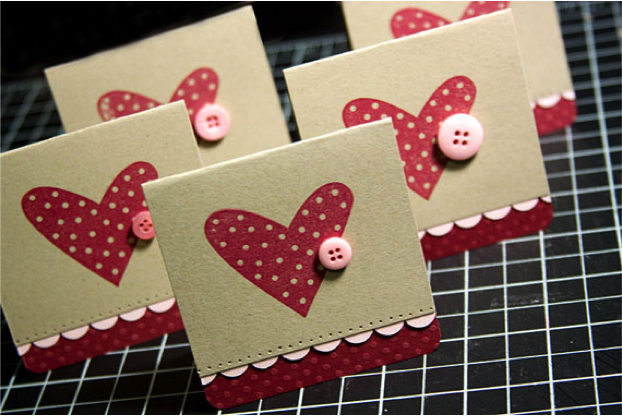 For a piece of romantic memorabilia, design and create a homemade valentine’s card for your partner. For a really personalised card you could include some of your favourite photos, lots of cute decorations and some meaningful text. Creating cards needn’t be expensive or tricky. A piece coloured card and a few decorative extras – such as different coloured or patterned card, buttons and felt tip pens – are all you need, along with some glue or tape and an envelope. A personalised photo frame is definitely something money can’t buy. By revamping a plain photo frame, you are creating a treasure which is sure to be kept for a life time. Spray painting the photo frame and adding decorative patterns, felt hearts, bows and buttons really adds sentimental value to a photo frame. For finishing touches, don’t forget to put the best photo of you and your valentine inside! For an extra special gift this Valentine’s Day, you could create a scrapbook containing your favourite memories. Create pages around memorable events and fill them with photos, letters, tickets, receipts and any other small item that represents a memory. Decorate your scrapbook with all the things your valentine loves as well as the lovey-dovey decorations to show that you really have been thinking of them. If this doesn’t show your loved one how much they mean to you, we don’t know what will! When it comes to DIY gifts, you can go as big or as small as you like with regard to creativity and personalisation! You know your valentine the best, so when being crafty really bear that special someone in mind." The world wide web is still fairly young. At 25 years old, it wasn't really that long ago that the web design industry was a fledgling field where we were simply learning as we went along. Luckily, as time has gone by, a lot more research, experience and technology has come about meaning that web designers are no longer in the dark when it comes to building successful and eye catching website designs. There has been a lot of talk and research about what parts of your website are the most important, and there have been arguments for and against certain ways of doing things in the industry. Over time, web standards set a level of what is expected from a web design to be correct in terms of coding and the way it's built, and Google became the dominant search engine that has eventually controlled how websites should be optimised. The only thing left to discuss is what information should go where, in order to make a website a success and to engage viewers. Over the years, we've seen website technology evolve. Today we have responsive web designs that resize to the browser you are viewing it on, which requires website content to be built in divs instead of tables. Read more about how often you should redesign your website, in response to fast-moving design trends. Design styles and elements that are in 'fashion' come and go, just like fashion in clothing. Gone are the days of websites with flash animation headers and 960px widths. We now have full width panel websites, with full background header images and parallax scrolling. Like mobile phones, which got smaller and smaller and have suddenly become bigger and bigger again, website design trends change and update on a very fast scale too. Take a look at the design predictions we made for this year. So, what do we know for a fact that a website needs, that doesn't change? 1. First of all, the top left of your website is almost always the first thing people look at. 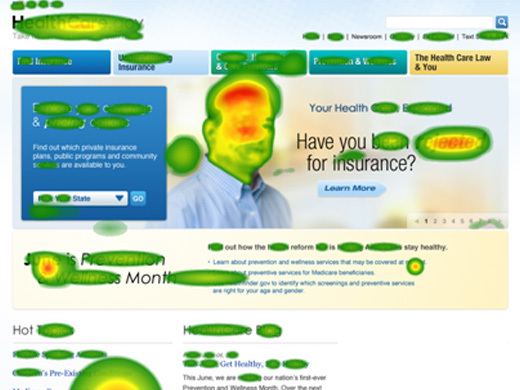 Eye tracking software has proven that the eye path of most users starts from the upper left corner of a website and gradually, with less priority, moves in the order of top right, bottom left and then bottom right corner. The human eye simply reads a website in the same way that it approaches a book. The top left hand corner is where the logo is traditionally placed. It is not abnormal for websites to have large background images with a logo centred at the top either, but having your logo branding as the first thing people rest their eyes on is a good idea. Having an introductory paragraph that people can skim read is a brilliant suggestion due to the fact that a lot of people search the internet with the idea of retrieving information fast. Your home page needs to tell them who you are, what you do and possibly where you're based to answer those three initial questions. 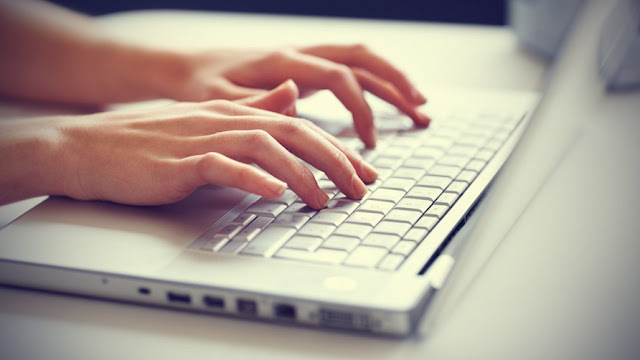 Take a look at our guide to copy writing. A strong call to action is also needed so that if they do like what they see, they can get in touch with you with ease. Why not take a look at the top things to avoid when creating a website design. The fold is the upper half of the front page of a website that people see first. However, where we used to design websites with a "fold" like newspapers, it has become much more accepted to have websites with an interactive experience that require scrolling. Some designers believe that scrolling is a negative thing, but studies have shown that this is not the case. It has even been found that the very bottom of pages get a lot of attention, which makes the bottom of a page an ideal place for a call-to-action. We discuss the fold in an blog post recently, which you can find more information on here. People love large visual imagery and video to watch at their leisure. If your website has an interactive nature to it where they can scroll down to watch videos, read your social media feeds and/or look at striking imagery, your website is bound to be a success. Having an overload of textual information can increase your bounce rate, which is something you really want to avoid. Making your website engaging, interesting and relevant to the user should be what you have in mind when it comes to cultivating what content goes where on your web pages. If you'd like to discuss a website project with us, why not contact us today? Every company needs a logo. In fact, your logo is one of the most important and essential parts of your business, especially when it comes to your marketing campaign. Whether you have it emblazoned on business cards, the side of your vehicles, on all of your products, on a plaque outside your property, on your letterheads and invoices, your website and more... it's the one thing that people are going to remember and become familiar with when it comes to your business' brand. Having a unique and high quality logo is integral. They are the primary visual aspect of a business and of your brand. It's the first impression people have of your business and it's what you hope they will remember about your business too. If you care about your image, your logo needs to reflect that. A logo is not only about your brand but it's about people being able to pinpoint what it is you do, from visual imagery. Your logo can be clever, with hidden meanings or a brilliant icon. The font you choose is indicative of your brands 'personality.' A clear logo is usually one that is simple yet professional. You may personally like handwriting fonts with a strong artistic feel, but would that suit a corporate business such as a Lawyers Firm? It's important that you get it right, and spend time on crafting the perfect branding for your business. The most successful logos out there are understated and simple, yet have taken days or weeks of thought and prototypes. When you come to Toolkit Websites for a logo design, we know that it's important to get it right. And that's why we stick to our unlimited design policy. We usually start off by creating up to 6 different designs all using different ideas, themes, fonts, colours. That way you can cross off the styles you definitely don't want and start working on ideas that you'd like to explore. It's a creative process, and it should be fun! But you should always have the end result in mind. It needs to clearly represent your brand, say exactly what you need it to say and make an impression on potential clients or customers. If you would rather keep things simple with a text based logo, and focus more on the font rather than an icon, you can take a look through hundreds of Google Fonts options, from serif, display to handwriting fonts for you to choose from. Why not contact us today about your logo design project? We look forward to hearing from you. We wrote a while back about Mobilegeddon, the change Google made to it's algorithm on the 21st April. Google aimed to roll out an update to rank sites it labels as “mobile-friendly” higher on mobile search results, for mobile users only. It's important to note that the new change has drastically changed the searches on Mobiles and as mentioned back then, the change does NOT affect desktop searches at all. Why has Google changed it's algorithm to favour mobile sites in mobile searches? Google says: "Mobile is changing the world. Today, everyone has smart phones with them, constantly communicating and looking for information. In many countries, the number of smart phones has surpassed the number of personal computers; having a mobile-friendly website has become a critical part of having an online presence. To make it easier for people to find the information that they’re looking for, we’re adding a “mobile-friendly” label to our mobile search results." So what are the options? 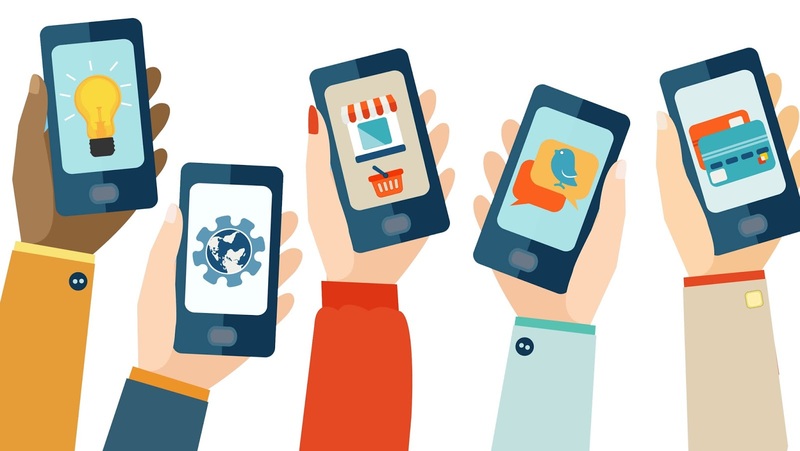 How do you go about making your website mobile-friendly? Now that Google's update is in full swing, it's important to know the three types of website that you can have, and what the differences are. If your website has a desktop version, this can still be viewed on different devices including tablets and phones. For the best viewing experience, people will use a desktop for this version of the site, but if they wish to view it on the go, they can. A mobile site is a separate website built and designed for Mobile and Tablets only but based on your desktop sites branding, navigation and content. Mobile websites are designed with large navigation, easy to read content and optimised images for smaller screens. Applying a responsive design to your website means that your website is built for all screen sizes. A responsive website will 'respond' and collapse/expand automatically to fit the screen it is being viewed on. So whether you are viewing on a mobile, tablet or PC monitor, the website would reformat itself automatically to give the viewer the best possible experience. 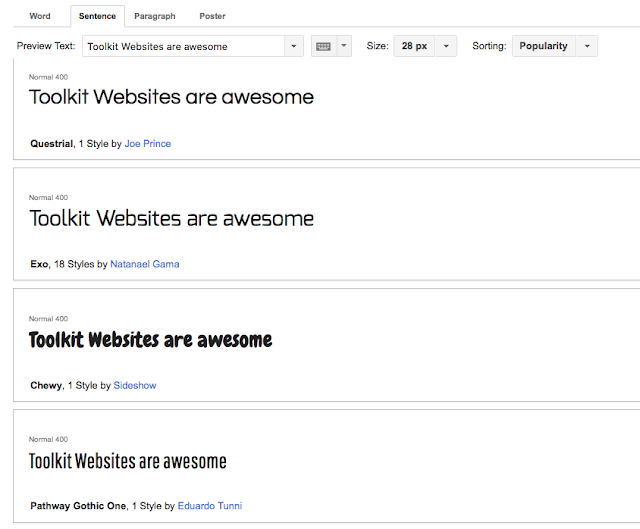 Responsive design is Google’s recommended design pattern. Read a more in depth article about the different between a mobile site and responsive design. Before deciding on the route you'd like to take, it might be worth taking a look at your Google Analytics data. It will tell you what devices most visitors to your site use to view your website, which gives you a clear indication of whether you need to upgrade your website from optimised to having a mobile or responsive design. What might be the reason behind high bounce rates? If someone comes across your website in search results, but it wasn't quite what they were looking for, they may simply close the tab and look elsewhere. This is perfectly natural and normal and isn't something to worry about. Your website is the first impression people have of your business, when looking at your services online. If the home page isn't clear, and they can't find the information they are looking for, people will leave. It makes sense to have a home page that is clear. It needs to say Who you are, what you do and if need be, where you are based. This is core information that anyone online will be looking for. If you can serve that up right away, in a clear and engaging way, they will most likely stay to take a look at what else you have to offer. If you have adverts displayed on your website, using Google Ads or something similar, it may be worth noting that this could increase the load time of your page, and/or have people steer away from your website pages. People don't like being overloaded with adverts or numerous call to actions. It is estimated that the average time an internet surfer will wait for a page to load before leaving is less than 3 seconds. If you're going to use these, use them sparingly and in a relevant, helpful way. People need to know how to get around your website. Having clear and easy to follow navigation is a must have. If the content is not well written and is not relevant to the subject at hand, it's a given that your bounce rate will be high. You should have a carefully planned and structured site map, that helps lead users around your website with ease. 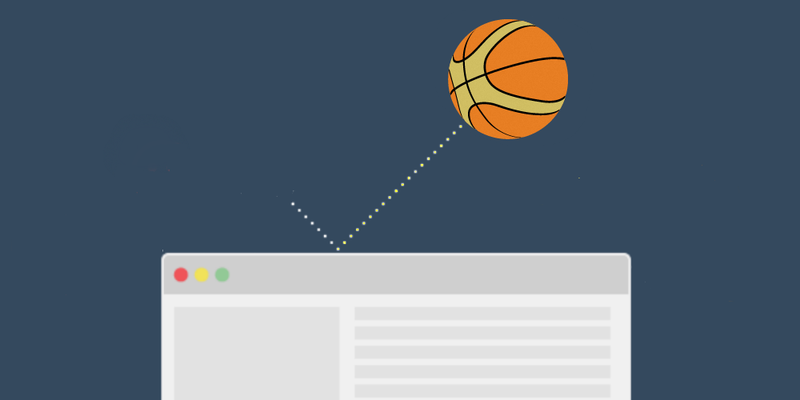 If your website feautures a splash page before people can enter your site, or it asks them to sign up for something before they can access your content, this could be the reason you have a high bounce rate. People should have the option to access the information they need, and take not of your call to actions to sign up or register if they want to. This should be done in an unobtrusive way. If your website isn't regularly updated or it features out of date information, this is a large reason why your bounce rate will be high. People want up to date, helpful information and they want to feel like the business is active on a daily basis. Using Social Media is a great way of doing this, and updating your website content regularly is great for SEO. 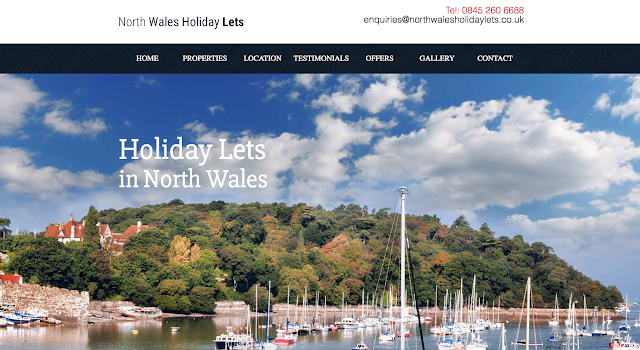 This week's website of the week goes to North Wales, Holiday Lets. This website specialises in holiday properties in North Wales, with functionality to organise and book your time away. Senior Project Manager Lanara, began firstly by creating a full width panel image home page, with the idea that the home page was to be the back drop, and the internal pages to be more simple and minimal in style. The website works as an information hub for people looking to visit North Wales. The website provides weather information, helpful "things to do" information as well as suggestions and options for dining, activities and more. However, the main aim of the website is to show case the numerous properties available for let, with detailed information about each one along with imagery. The website features third party functionality, with the ability for people to book and manage their booking online using a PIMS form. The gallery features a number of images of the properties, that are easy for people to flick through depending on what property they are most interested in. Senior Project Manager Lanara created the pages using the content from the clients old website pages, and converting the website design into something more modern, professional and easy to navigate. The testimonials page is a page that will be of most interest to people looking to book, as the lists of past customers experiences and feedback are valuable. A testimonials page is a must have if you want people to find reviews and see positive feedback about your services and business. The client was incredibly happy with the end result and kindly awarded us 5 stars out of a possible 5. He said that we're "very easy to contact and quick to respond." Do you have a property website that you would like to get started? Contact us!